Simply link your CEFCO EasyPay Card to your checking or Netspend account. Most accounts are activated immediately, but may take up to 3 days. Your account will be automatically debited at the time of each transaction. Transactions may take 1-3 business days to post. Unlike many other payment cards, the CEFCO EasyPay Card has no credit checks nor holds placed on your checking account. Sign up today and start saving! 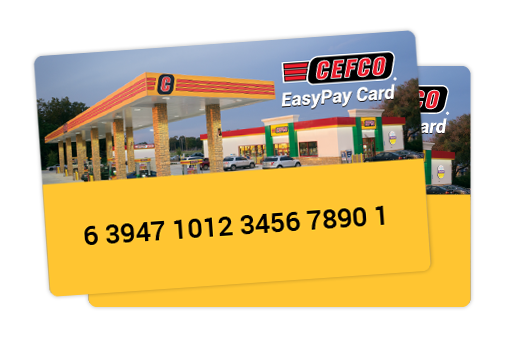 When using your CEFCO EasyPay Card, your information is secure and encrypted. Your transactions are PIN protected and can only be used at CEFCO Convenience Store locations. We’ll send you an email after every purchase and you can view your transactions in real time online. Enroll in the CEFCO EasyPay Card Today!